American author born in West Virginia in 1891. 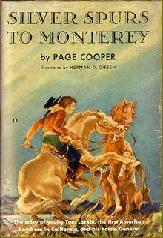 Her full name was Anice Page Cooper, but she mainly wrote as Page Cooper. A prodigious writer, she penned many books for both adults and children, including fiction, non-fiction and biography. 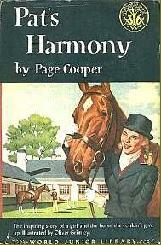 Her horse-themed books include a biography of the great racehorse Man O'War, and five children's pony stories. She has also edited a book of short stories illustrated by Paul Brown. As well as an author she was also a book reviewer, editor, poet and keen gardener. SUMMARY: Show jumping story. Can Pat make a jumper out of the weak and sickly Harmony? 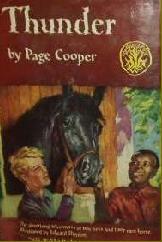 SUMMARY: Story of the friendship between Spud and Pete, a black and a white boy, and Thunder, the horse they hope to train as a racehorse. 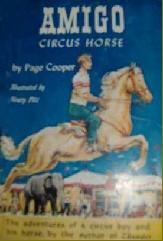 SUMMARY: Teenage Franz rides Lippizaner horses in a circus, but longs to train the palomino Amigo. SUMMARY: Historical horse story. Tom Larkin is the first American boy born in the state of California. 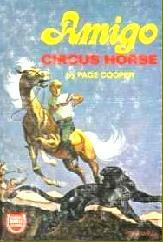 He tames the wild buckskin General and hopes to win a pair of Spanish silver spurs. All are fairly easy to find in America, with the possible exception of Red Tartar which is a bit rarer than the others. There were no British editions published, and the books are rarely seen in the UK. Reprinted a number of times by Berkley in paperback when it was re-titled. 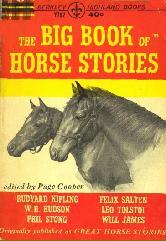 SUMMARY: Collection of short stories and excerpts from horse-themed novels by a number of authors including Will James, John Taintor-Foote and Rudyard Kipling. 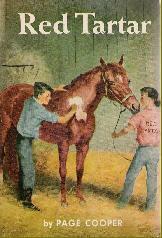 For full list of stories and excerpts please visit my American Horse Stories page. Fairly easy to find in the USA and usually reasonably priced. A lot harder elsewhere.